In the middle of a Texas summer, plans for a babysitter fall through and six-year-old Caroline is left in charge of her two younger siblings. This nerve-racking drama from filmmaking team, Logan George and Celine Held, is one of the most accomplished short films of the year. (It premiered at Cannes and has screened at SXSW, Palm Springs, Telluride, et al). 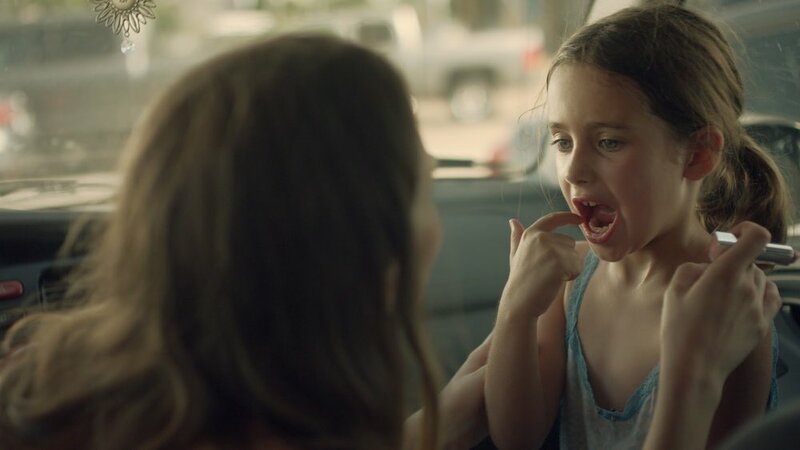 It’s the near real-time account of a frazzled young mother’s desperate attempt to find a last-minute babysitter as she scrambles toward a job interview at a strip mall tax service. 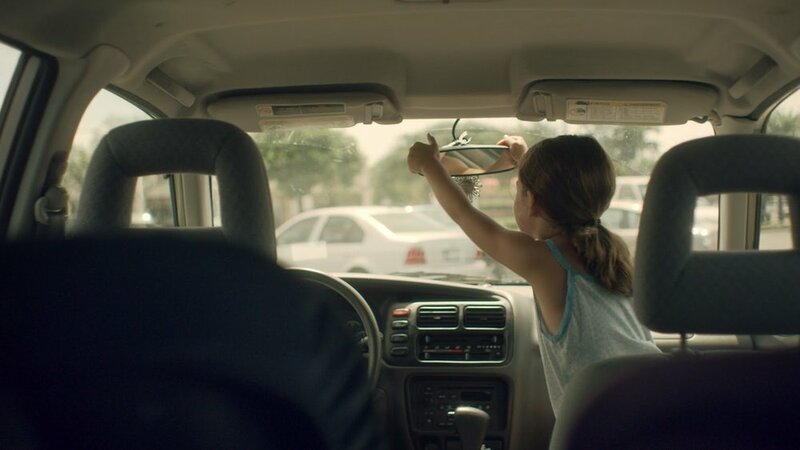 With a sitter finally on the way, the kids are left alone in the car (without the AC running), and the question turns toward the responsibility of strangers to intervene in an alarming situation. The breathless ordeal moves us through several phases of tension and release. Sweat drips down the children’s faces and their barely functional toy fans don’t provide much relief, but they don’t quite grasp the seriousness of the situation until panic starts building around them. 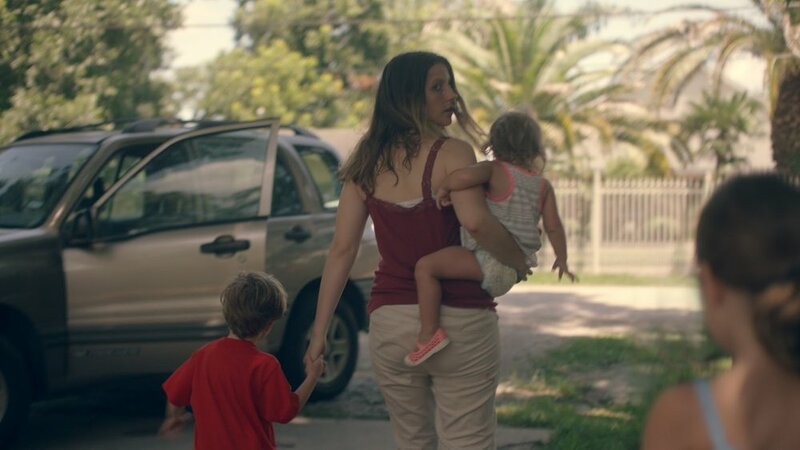 All elements meld perfectly — immersive images, editing and sound design, are met with compelling performances by all, including the young children, and Held, herself, as the out of control young mother. (12 minutes). Written and directed by Logan George and Celine Held. Producer Kara Durrett. Director of Photography: Lowell A. Meyer. Starring Celine Held, Caroline Falk, Brooks Falk, Sally Falk, Tam Jackson and Harold Presley. Edited by Logan George. *Online Premiere* How much do a bystander and a victim owe one another, and what kind of connection can form between the injured and the helpers in the instants of a crisis?